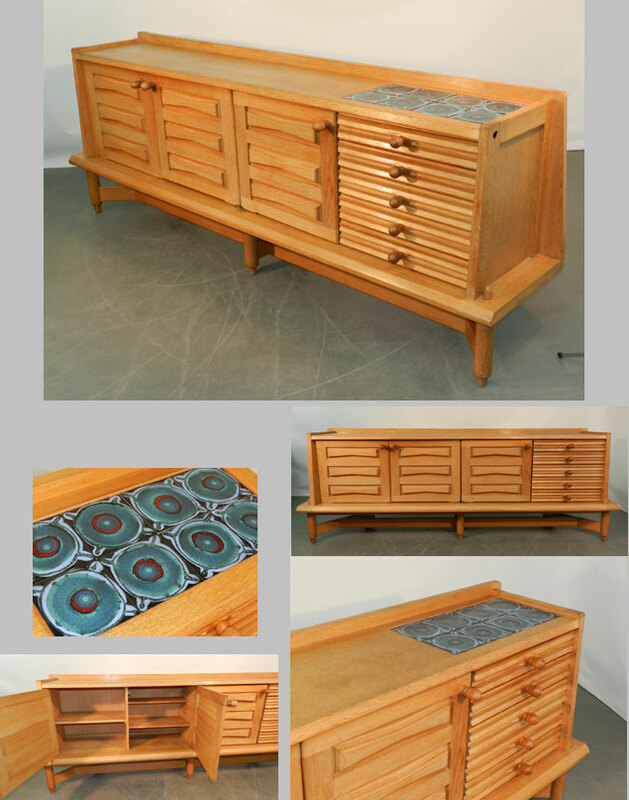 Guillerme and Chambron, A very good 1970 oak sideboard with ceramic inset on the top, Editioned by Votre Maison in very good condition. These pieces are rare and fit any decor. 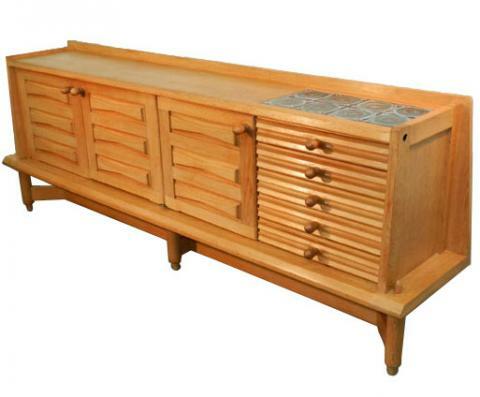 The sideboard is 37 1/4" high, x 102 1/4" long x 20 3/4" deep.